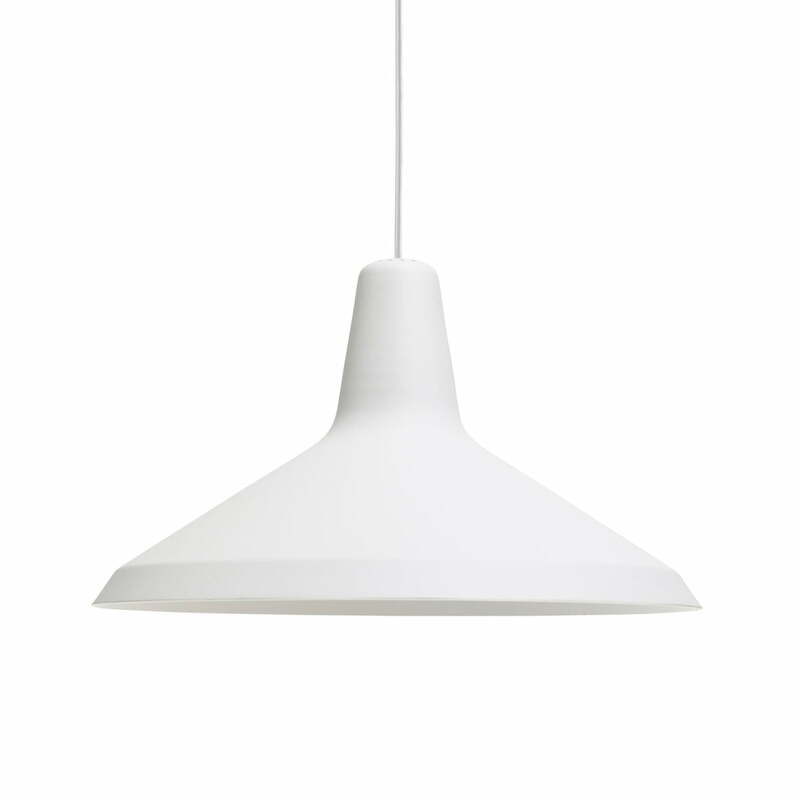 The G10 pendant lamp by Gubi is a design by the design icon Greta Magnusson Grossman from 1950. It is characterised by its distinctive lampshade that gives any room a pleasant light. With its rough plastic surface and clean lines, the lamp’s design is reminiscent of the industrial style. At the same time, the lamp also has a soft, feminine silhouette that can be associated with the elegant hats of the 50s. Alone or in a group, hanging in the corridor, in the kitchen above the dining table or in the living room - the G10 pendant lamp adapts to every environments and ensures a pleasant light distribution. The Gubi lamp is produced out of plastic and metal in America and Sweden. It was the 10th product by Greta Magnusson Grossman for the Swedish manufacturer Bergboms, which led to its name becoming G10. For glare-free light, a diffuser is also available upon demand as an accessory. 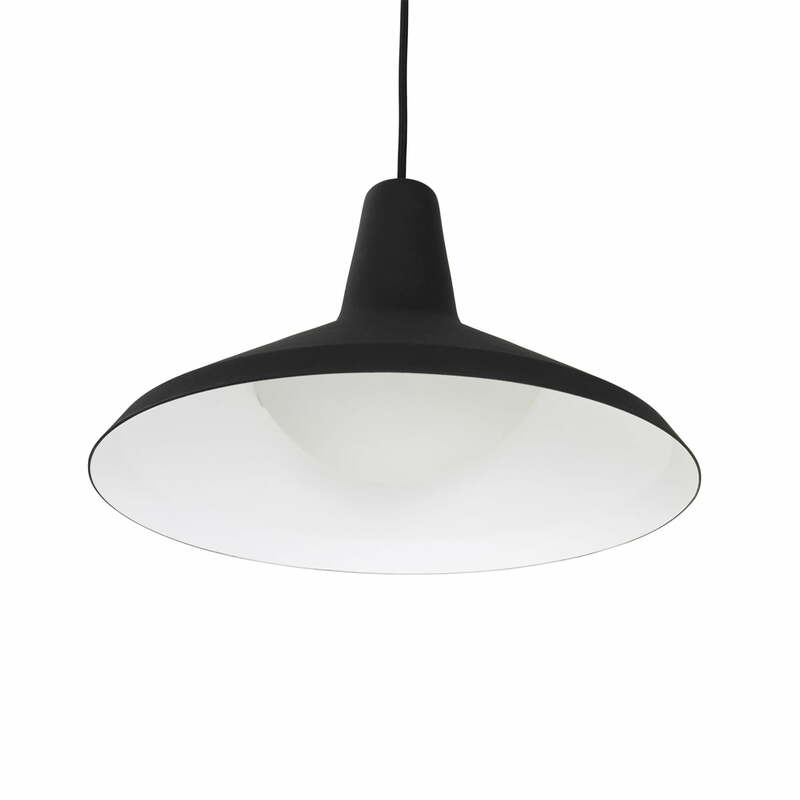 Isolated product image of the G10 pendant lamp by Gubi in black. 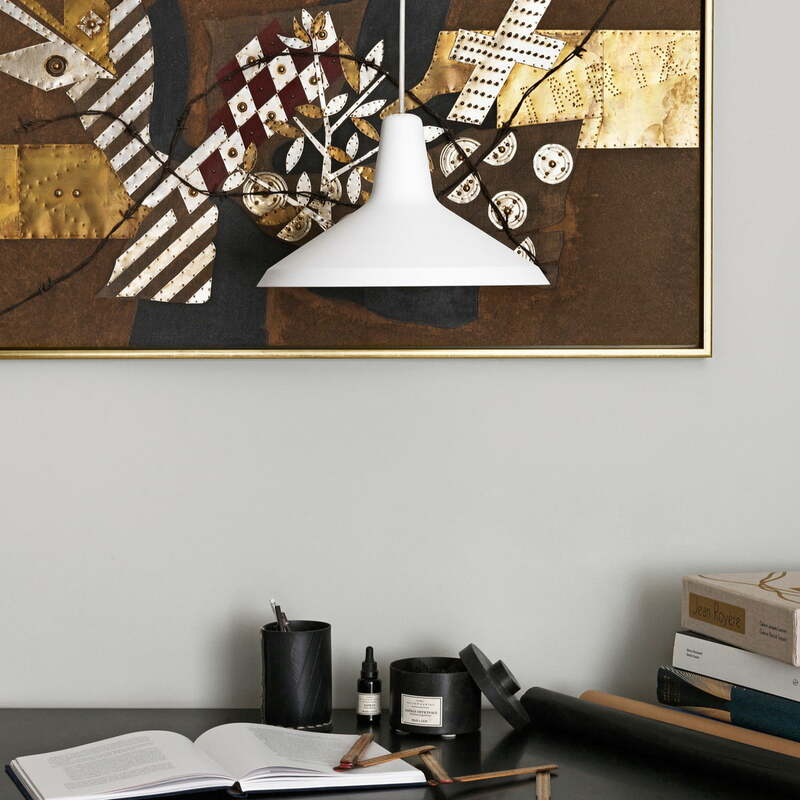 The G10 pendant lamp by Gubi is a design by the design icon Greta Magnusson Grossman from 1950. Lifestyle product image: The G10 Pendant Lamp by Gubi above the table: It is characterised by its distinctive lampshade that creates a pleasant light in any room.